With the New England Short Track Showdown just weeks away. Schedules are being set, driver rosters are filling up, and staff behind the scenes are preparing for one of the biggest events of the year on the largest stage at New Hampshire Motor Speedway. “This is our largest purse to date with $5,000 going to the winner of the 50 lap feature.” series president Mike Parks said. “Our driver roster is booming with talent and garage space is becoming limited.” Officials will be having a five minute break at the halfway point on pit road for a two tire change if desired and minor adjustments to the cars. “If we can do that in three minutes or less we will send the guys back out as soon as possible” Parks said. The winner of this event also earns a provisional starting spot in the US Pro-Stock Nationals at Seekonk Speedway later this summer on July 18th. Two drivers looking for redemption this year are multi-time PASS North and National Champion Ben Rowe and Kulwicki Driver Development Program semi-finalist Derek Griffith. Last year Rowe ended up with his nose cone in the window net of Griffith’s car during an early incident in turn one. Both drivers are set to return with a strong long track package from Richard Moody Racing for Rowe and Louie Mechalides Motorsports North supporting Griffith. Hotshoe Reid Lanpher of Manchester, ME will be making his first appearance on the full one mile circuit of New Hampshire Motor Speedway June 24th. With previous success on the PASS North tour and recent stints in the K&N East/West series, Lanpher and crew chief Jason Ricker look to unload strong against the field and fellow PASS North competitor and podium finisher DJ Shaw of North Conway, NH. An experience of a lifetime is in store for young rookies Jimmy Renfrew Jr of Candia, NH and Ray Christian III of Uscasville, CT. 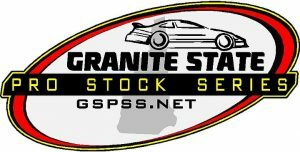 The youth movement is strong in the Granite State Pro Stock Series as Devin O’Connell of Madison, CT looks to carry his segment win momentum from The New London Waterford Speedbowl to the New England Short Track Showdown.